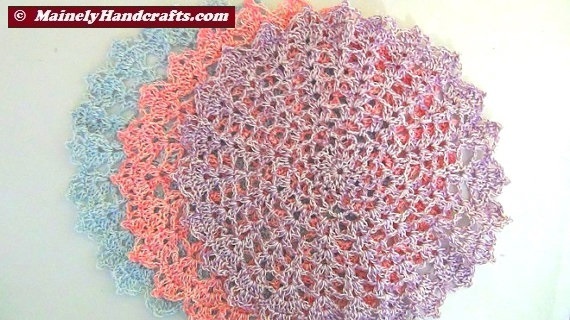 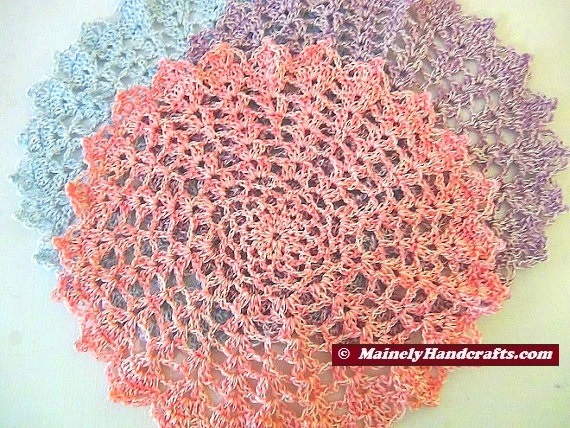 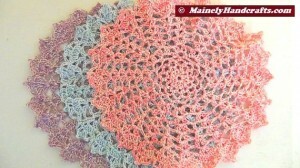 Your table needs this crocheted doily set of 3 colorful with Spring in mind in pink, light blue and lavender purple. 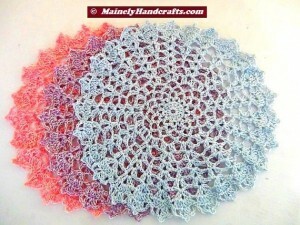 Add a pop of color to your dresser, end table or coffee table. 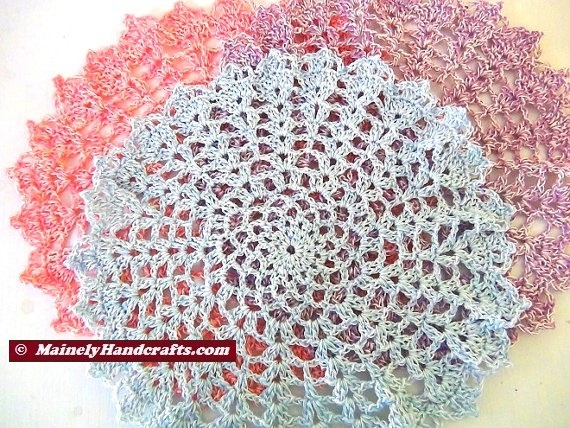 Made with 2 strands of thread – one color and one ivory white in each doily. Pink and Ivory White, Light Blue and Ivory White, Lavender Purple and Ivory White. 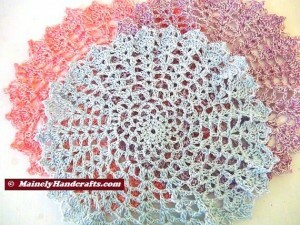 Use for Spring Decor or Easter Decor or just to blend in with your color scheme. 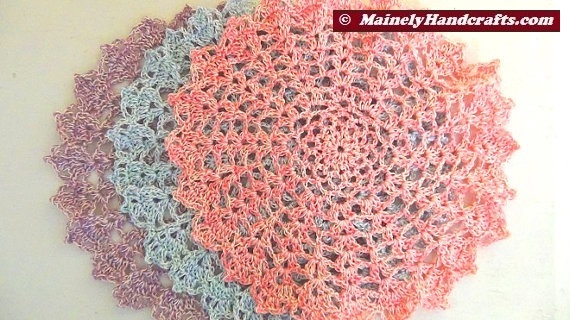 Slight ripple is normal and gives the doily texture. 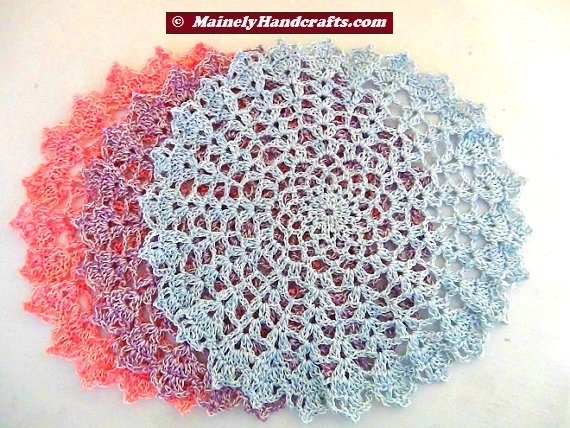 Almost five months after being listed, this item was SOLD at Etsy.com, today on August 13, 2014. 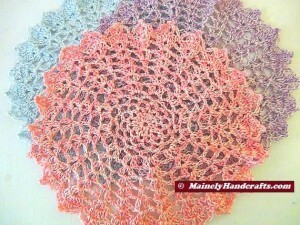 This item has been re-Listed at Etsy.com today.